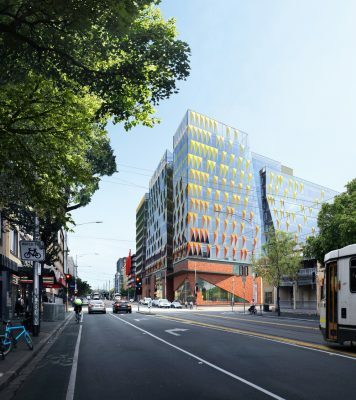 The Victorian Government has approved the University of Melbourne’s plan to develop the site of Melbourne’s former Royal Women’s Hospital into Australia’s leading innovation precinct. 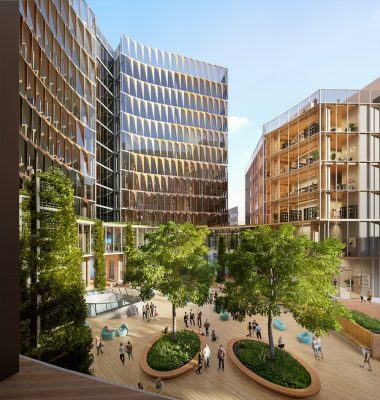 The precinct’s masterplan and lead design architect is Woods Bagot, as part of the Lendlease-led consortium working in partnership with the university on the transformational project. A flagship initiative, the precinct will develop facilities where university staff and students, researchers, local and international businesses and start-up companies can connect and collaborate on generating breakthrough new ideas and take them to market. 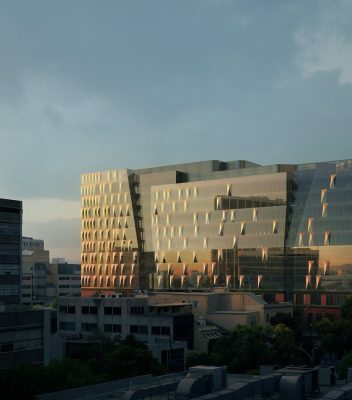 Located on the fringe of Melbourne’s CBD and adjacent to the university’s main Parkville campus, the former hospital will now be redeveloped as a series of five new connecting buildings focused around a central ‘Oculus’ and publicly-accessible open space. 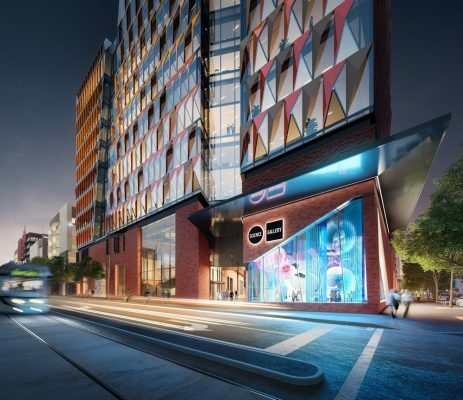 The precinct will provide shops, cafes, public spaces, accommodation for more than 500 students and visiting academics, a childcare centre and Science Gallery Melbourne, which will deliver cutting-edge exhibitions, events and experiences. As well as co-working and commercial office space, it will feature a Fab Lab and a ‘Superfloor’ dedicated to collaboration and fostering the exchange of ideas. 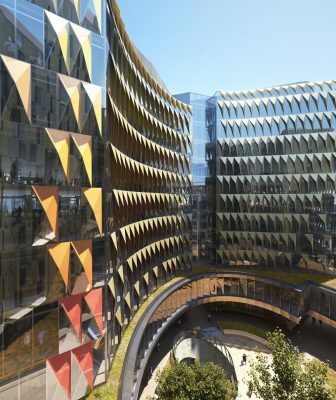 Woods Bagot principal and project design leader, Hazel Porter, described the new precinct as unprecedented in Australia. 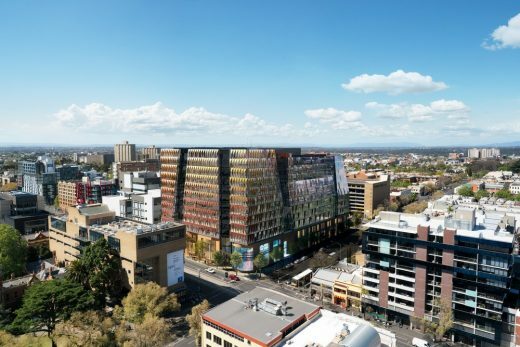 “For this extraordinary site to support people working together in the creative and entrepreneurial ways envisioned by the University of Melbourne’s ambitious plan for innovation, we needed to completely re-think what the project could offer back to both the university and to Melbourne’s urban innovation,” said Ms Porter. “What we’ve generated are new forms and, importantly, opportunities for exceptional circulation through the site and a great diversity of spaces at ground level, as well as maximising sunlight for wellbeing and sustainability,” she said. Woods Bagot’s scheme for the purpose-built precinct and its facilities meets the highest standards of design and sustainability design. Its bold architecture delivers an iconic presence as both a legacy of the site’s history and a symbol of the university’s unyielding pursuit of excellence in education and industry collaboration. 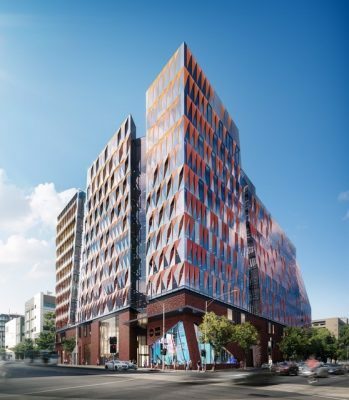 From winning the university’s design competition for the project in December 2016 and throughout the scheme’s development, Woods Bagot’s approach places people at the centre of the design. “Innovation comes from people, the way they interact, the way they collaborate on a common purpose. Therefore, it’s essential that every part of this scheme lives and breathes human-centred design,” Ms Porter said. Woods Bagot principal and global education sector leader, Sarah Ball, said the University of Melbourne is at the forefront of education providers who are intelligently transforming their campuses to attract the best and brightest across the spectrum – staff, students, researchers, industry partners. “Providing an exceptional educational and professional experience to attract the best and brightest demands the setting of a new global benchmark to stay competitive on the world stage of higher education. 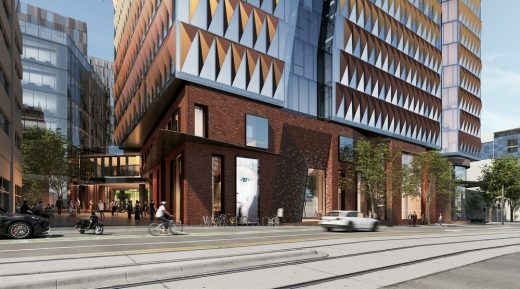 “This education and innovation precinct will complement the Melbourne Biomedical Precinct in Parkville and the Arts Precinct in Southbank. 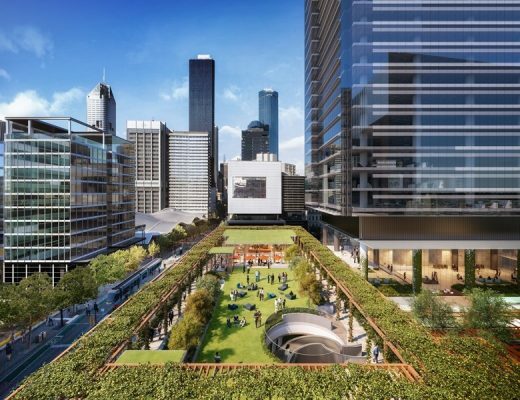 It’s also part of the emerging Melbourne Innovation Districts – a City of Melbourne initiative to drive investment in the knowledge economy and help shape Melbourne’s future,” Ms Ball said. Woods Bagot team: Hazel Porter, Sarah Ball, Alastair Flynn, Harry Charalambous, Wes Baigent, Ali Tehami, Femi Akande, Nirvan Basnet, Krisi Patras, Susannah Xu, Pete McKew, Derek Huynh, Roberto Spadaccino, Mluk Nehme, Peter Miglis, Sara Sidari, Kevin Mitchem, Robert Rosamilia, Lara Viguet.